NAHB recently unveiled an index that tracks housing markets on the mend, the NAHB/First American Improving Markets Index (IMI). The IMI highlights the fact that housing markets are local and that there are metropolitan areas where an economic recovery is underway. The index measures three readily available monthly data series that are independently collected and indicative of improving economic conditions. The three series are employment, house prices and single family housing permit growth. For the twelfth release , 99 markets are classified as improving under a conservative examination of local economic and housing market conditions. Among these areas is the Erie, Pennsylvania metropolitan statistical area (MSA). The improvement of the Erie economy and its housing market is due to several factors including a recovery in manufacturing, which employs about 25% of the workforce, its position as a major retail center, drawing shoppers from the tri-state area (OH, NY and PA) as well as Canada, and its position as a fast growing regional healthcare center with a number of large hospitals including UPMC Hamot, Millcreek Community Hospital, and St. Vincent Medical Center. In addition there is Saint Mary’s, a large nursing home with numerous facilities and Regional Health Service Inc. with many offices scatterd across the area and the already large and expanding Lake Erie College of Osteopathic Medicine (LECOM) which has a medical school, school of pharmacy and a new dental school. Erie also benefits from a steady stream of tourists who travel from Cleveland, Pittsburgh and Buffalo to enjoy access to Lake Erie and beautiful Presque Isle. Erie is also home to a number of colleges including (Penn State) Berhend College, Gannon University, Mercyhurst University and Edinboro University. Lastly, Erie is home to the Erie Insurance Group, GE Transportation Systems which makes among other things locomotives, Plastek Industries and a large Lord Corporation facility. According to Jim Grieshober, Owner of J.E. Grieshober Plumbing-Hydronics , “Erie never saw huge increases in real estate prices and as a result has not seen much in the way of a decline either. We miss the highs and the lows. And, of late pent-up demand is starting to make itself felt among those who are more secure in their job and can get a loan. Things would be even better if only the credit situation improved and if new regulations that add thousands and thousands to the price of a new house had not been passed. That being said, the cost of living is low, Lake Erie is quite a draw and there is not much inventory around.” Whatever the cause, house prices are definitely firming. They are up 1.4% since the trough in February 2011 and are off less than 3.7% from their all–time high set in December 2009. Improving economic conditions have resulted in payroll employment being down exactly 2% from its peak in June 2000 and up by a healthy 9.9% since the trough in January 2010. 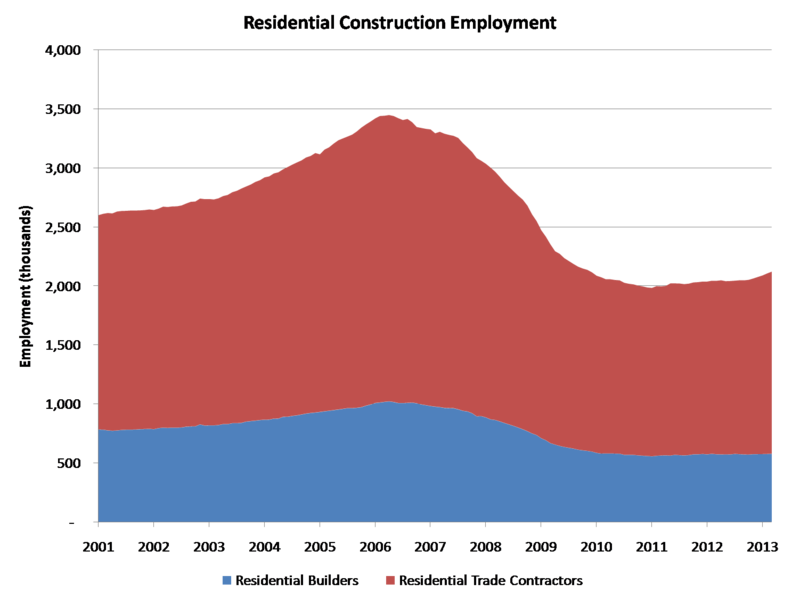 Single family permitting activity is up 8.0% on a seasonally adjusted monthly average basis from the trough set in April 2011. While new homes are being built in many parts of Erie, activity has been primarily centered in a ring around the outskirts of Erie extending from Girard Township, Fairview Township and Millcreek Township in the west, through Summit Township in the south and Harborcreek Township in the east. For the twelfth release , 99 markets are classified as improving under a conservative examination of local economic and housing market conditions. Among these areas is the Palm Bay-Melbourne-Titusville, Florida metropolitan statistical area (MSA). The turnaround in the Brevard County economy and its housing market is due to several factors including a steady rise in tourism and recreation expenditures compared to 2010 including a rise of almost 10% in the number of multi-day cruise passenger traffic departing from Port Canaveral. The area also benefits from its position as a large regional healthcare center with three large healthcare systems including Health First, Inc., Holmes Regional Medical Center and Wuesthoff Health System, Inc., which together employ close to 11,000 persons. Brevard County is also is home to Patrick Air Force Base, Cape Canaveral Air Force Station, the US Air Force Malabar Test Facility, a naval Trident ballistic missile submarine turning basin and a Naval Ordnance Test Unit. Brevard County also boasts a large number of high-tech firms such as Harris Corporation, Boeing, Northrop Grumman, Lockheed-Martin, Rockwell-Collins, Honeywell and many other firms that have recently grown and have largely made up for the gradual decline and eventual loss of the Space Shuttle program. According to Marcia Bartley, President of All Pro Title, Inc., “the inventory of existing homes is declining and that is putting upward pressure on prices. On top of that there are no spec homes being built and the foreclosures that are on the market tend to be in poor condition and buyers are no longer willing to tolerate the false starts and delays that come with trying to purchase one of them. As a result of these factors, appraisals are starting to rise and that gives prospective buyers increased confidence and as a result, a feeling of cautious optimism is starting to take hold.” Whatever the cause, house prices are definitely firming. They are up 6.4% since the trough in April 2011 and look to continue rising through the end of this year and into 2013 and beyond. Improving economic conditions have resulted in payroll employment being down less than 11% from its peak in May 2006 and up by 1.3% since the trough in December 2011. Single family permitting activity is up 2.0% on a seasonally adjusted monthly average basis from the trough set in April 2009. While new homes are being built in many parts of Brevard County, activity has been primarily centered in the Viera area where there is a new VA clinic, a new hospital, the government center, excellent shopping and is where the spring training home of the Washington Nationals is. West Melbourne, between Melbourne and Palm Bay, is also a place where new construction activity is pronounced, in large part due to the excellent school system. For the eleventh release , 80 markets are currently classified as improving under a conservative examination of local economic and housing market conditions. Among these areas is the Canton-Masillion, Ohio metropolitan statistical area (MSA). The health of the Canton housing market is in part due to its business friendly environment and low state and local taxes, and the presence of four growing colleges and universities including Stark State College with a student population of over 15,000, and Walsh University with an enrollment of about 3,000. Canton also benefits from being a growing regional healthcare center with Aultman Hospital and its 5,000 employees as well as Mercy Medical. However of late, Canton’s growth is primarily, due to the all important Utica shale, a rock layer several thousand feet below the Marcellus shale, and which lies directly below Canton. As a result Chesapeake Energy, Exxon, Anadarko, Chevron and others are starting to drill and other energy related firms including Slumberger, Baker Hughes, Michael Baker Corporation, and J-W Wireline are all setting up shop. Canton also benefits from the presence of national firms like Belden Brick, Marathon Petroleum and GE Capital and is the Global headquarters of The Timkin Company and Diebold Incorporated. According to home builder James Rudo, President of VictoryGate Custom Homes, “drilling companies as well as oil and gas service companies are setting up operations. While the Utica shale is just starting to be exploited through fracking and horizontal drilling, the effects of it are being felt in many ways. For example field managers and executives are beginning to relocate here and these new households not only need housing but often want new houses.” He went on to say that, “there is not much standing inventory and what little exists is in poor shape. As a result it is often cheaper to build a new home than buy an existing house and remodel it. As a result holding a spec is hard as everything sells. As a matter of fact, things are so good we just hired a new supervisor.” He closed by saying “referrals are a huge part of our business and we augment it with some light advertising. According to Barbara Bennett, President, a managing partner at the engineering firm Hammontree & Associated, Limited, “because of the Utica shale our hotels are full, are restaurants are all busy, there are no vacant storage facilities or warehouses, and there is a constant shortage of truck drivers. In addition, there is a dramatic up-tick in industrial development and infrastructure improvements. As a result of this added activity, not to mention the cashing of royalty checks by landowners, the local economy is more vigorous than ever. As a matter of fact, we are currently working with developers on two brand new subdivisions.” As a result, house prices have held up well over the past few years. Prices are up 1.6% since the trough in January 2011 and are off less than 19% from their all-time high set in June 2006. Improving economic conditions have resulted in payroll employment being off just 6.2% from the high of the past decade set in July 2002 and up by 7.8% since the trough in October 2009. 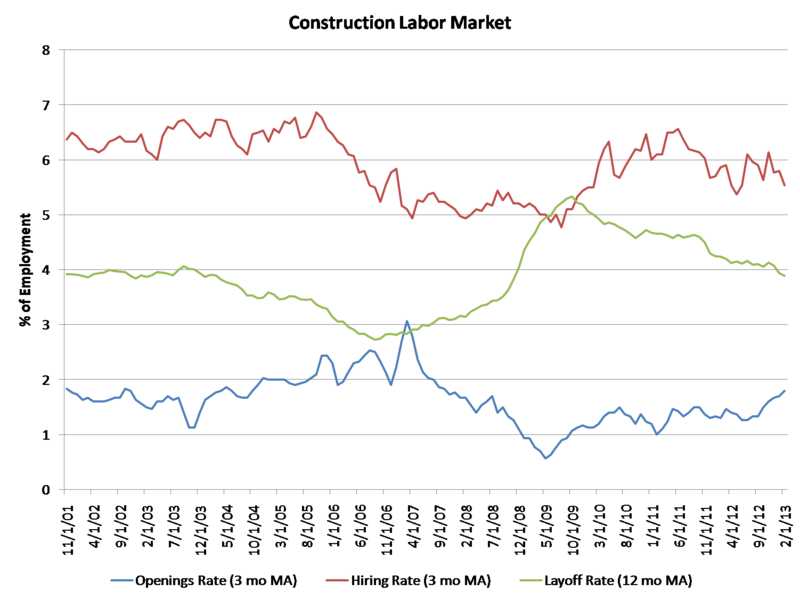 Single family permitting activity is up a robust 9.7% on a seasonally adjusted monthly average basis from the trough set in November 2011. While new homes are being built in many parts of the Canton MSA, activity has been primarily centered in northern Stark County including the City of Green and Jackson Township. For the eleventh release , 80 markets are currently classified as improving under a conservative examination of local economic and housing market conditions. 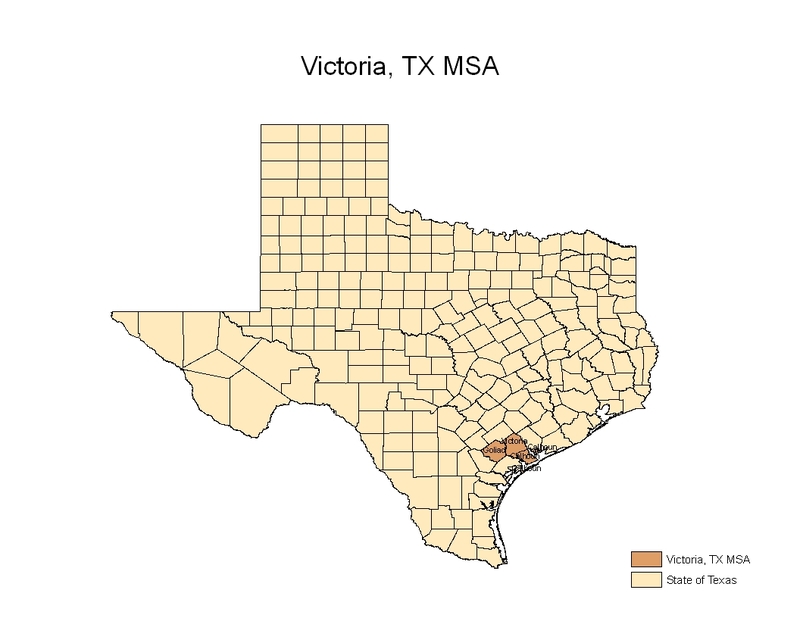 Among these areas is the Victoria, Texas metropolitan statistical area (MSA). The health of the Victoria housing market is due to near equidistant location from Austin, Corpus Christi, Houston and San Antonio making it the regional hub of South Texas. Additionally, the growth of both Victoria College and the University of Houston–Victoria, Victoria’s growing position as a regional healthcare, shopping and entertainment center, and its large and growing petrochemical industry have also boosted the local economy. However, it’s the new 1.3 million sq ft. Caterpillar hydraulic excavator facility and the even more recent and sudden exploitation of the Eagle Ford Shale just north and west of Victoria, due to hydraulic fracking, that are causing Victoria to boom. Due to Caterpillar a number of suppliers are moving to town and because of the nearby Eagle Ford shale, many oil service firms including pipeline and drilling companies are fast locating nearby. According to Howard Marek, a partner in the law firm of Marek, Griffin & Knaupp, “business is doing so well we are seriously considering growing the size of our firm. Hotels are all full, and builders are building new homes in all price ranges. In addition, because of all the in-migration, more restaurants are opening up and there is talk of other large employers moving to Victoria. On top of all this, we expect more suppliers to move here, after all Caterpillar broke ground on its initial facility less than 18 months ago.” Whatever the causes, house prices have held up well over the past few years. Prices are up 13.5% since the trough in February 2011 and recently surpassed the previous high set in June 2010. Improving economic conditions have resulted in payroll employment being down just 1.5% from its high of 51,900 set in August 2008 and up by 5.6% since the trough in November 2009. Single family permitting activity is up 4.7% on a seasonally adjusted monthly average basis from the trough set in September 2010. While new homes are being built in many parts of the Victoria MSA, activity has been primarily centered south of the city from the Port of Lavaca to Port O’Conner all the way to Rockport, with additional activity northwest of town in Cuero close to the Eagle Ford shale. For the eleventh release , 80 markets are classified as improving under a conservative examination of local economic and housing market conditions. 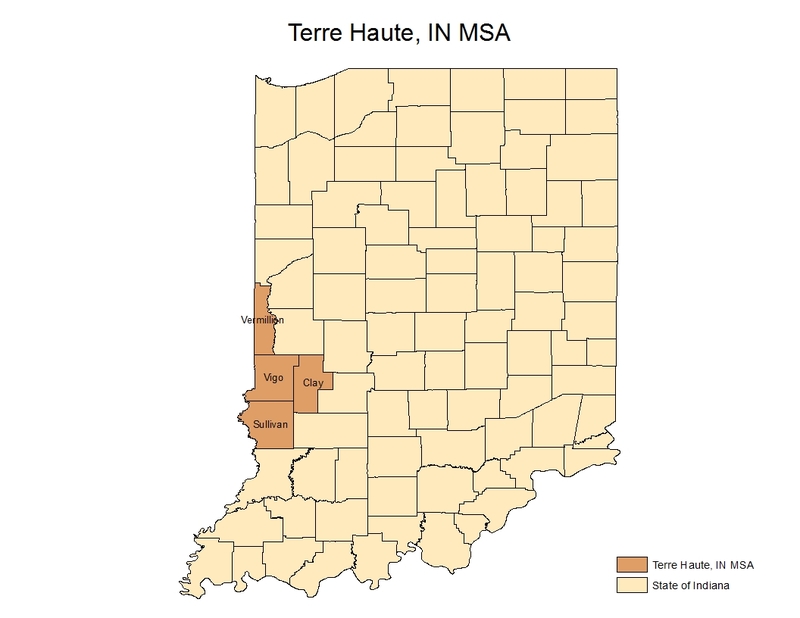 Among these areas is the Terre Haute, Indiana metropolitan statistical area (MSA). The resurgence of the Terre Haute economy, and its housing market, is due Terre Haute being a large regional healthcare center, the presence of Indiana State University, the Rose-Hulman Institute of Technology, Ivy Tech Community College and St. Mary-of-the-Woods College. Its location not far from Evansville, Indianapolis and St. Louis also helps. In combination, healthcare and post-secondary institutions employ over 7,000 persons and are three of the five largest employers in the area. In addition, there is a considerable amount of manufacturing in Terre Haute including the largest disc production facility in the United States, Sony DACD. Other manufacturers with a large presence in Terre Haute include Bemis, a supplier of flexible packaging and pressure sensitive materials, GE Aviation, which manufactures turbine engine components, ThyssenKrupp Presta, a manufacturer of automobile steering columns, and others. Terre Haute also benefits from the presence of a United States Federal Corrections Complex as well as the Indiana Air National Guard. According to Tim Malooley, General Manager of Niehaus Home Centers, “it’s a combination of several things that’s causing our market to perk up. 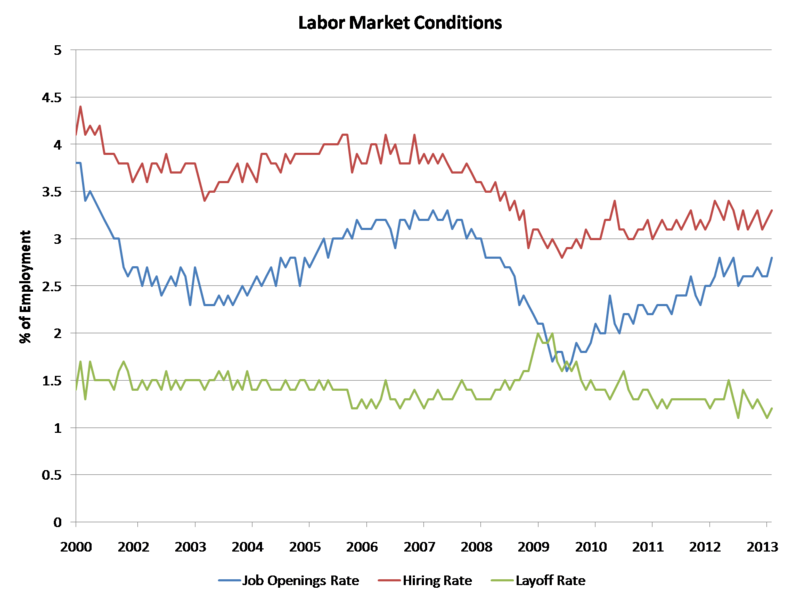 First, there never was never much overbuilding and as a result prices never had far to fall. Second, because of all the hospitals and universities there is always a good deal of turnover which helps the housing market and third, there is a small but steady flow of immigrants who move here for jobs and more often than not, those transferees want a new house. Were it not for the credit crunch, things would be much better.” In spite of a lack of credit, house prices are definitely firming. They are up 0.3% since the trough in August 2011 and are off less than 9.0% from their all-time high set in September 2006. Improving economic conditions have resulted in payroll employment being just 8.9% from its peak in March 2000 and up by 2.5% since the trough in December 2011. Single family permitting activity is up 2.0% on a seasonally adjusted monthly average basis from the trough set in February 2011. While new homes are being built in many parts of the four-county Terre Haute MSA, activity has been primarily centered in the south and southeast parts of Vigo County close to the city. After Vigo County, Clay County has been most busy, but due it being rural, activity has been quite scattered. For the eleventh release , 80 markets are classified as improving under a conservative examination of local economic and housing market conditions. Among these areas is the Miami-Fort Lauderdale-Miami Beach, Florida metropolitan statistical area (MSA). The turnaround in the Miami economy and its housing market is due to many factors including a steady rise in traffic at the Port of Miami, the world’s largest cruise ship port, and its position as a major television production center and the most important city in the US for Spanish language media. Miami also benefits from its proximity to South America, and the relative affordability of housing in Miami compared to many of the major cities in South America and Europe. The recent up-tick in tourism and cruise ship activity along with the presence of the University of Miami, the largest private employer in the MSA, the growing bio-tech sector and its position as a large international and regional healthcare center are also part of why Miami is recovering. In addition Miami is home to the National Hurricane Center and the US Southern Command, responsible for all military operations in Central and South America. According to Richard Burton, Partner at the Burton Firm and the driving force behind The Foreclosure Project, “prices in Miami, Fort Lauderdale and Palm Beach are a bargain to the many Brazilians, Canadians, German and Russians who are now buying. In some cases they are buying with an eye to living here part of the year while others simply want to park their money in a safe location and take advantage of the rapidly strengthening rental market. The key is to find the right price-point in the right location and this is just as true for luxury buyers of waterfront condos as it is for first-time homebuyers.” Whatever the cause, house prices are definitely firming. They are up 0.4% since the trough in November 2011 and look to continue rising through the end of this year and into 2013 and beyond. Improving economic conditions have resulted in payroll employment being down less than 8% from its peak in August 2007 and up by 2.7% since the trough in January 2010. Single family permitting activity is up a strong 4.1% on a seasonally adjusted monthly average basis from the trough set in April 2009. While new homes are being built in many parts of the tri-county Miami MSA, activity has been primarily centered in Boynton Beach in Palm Beach County, the Parkland area and downtown Fort Lauderdale in Broward County and in downtown Miami, the Design District and in Aventura in Miami-Dade County.